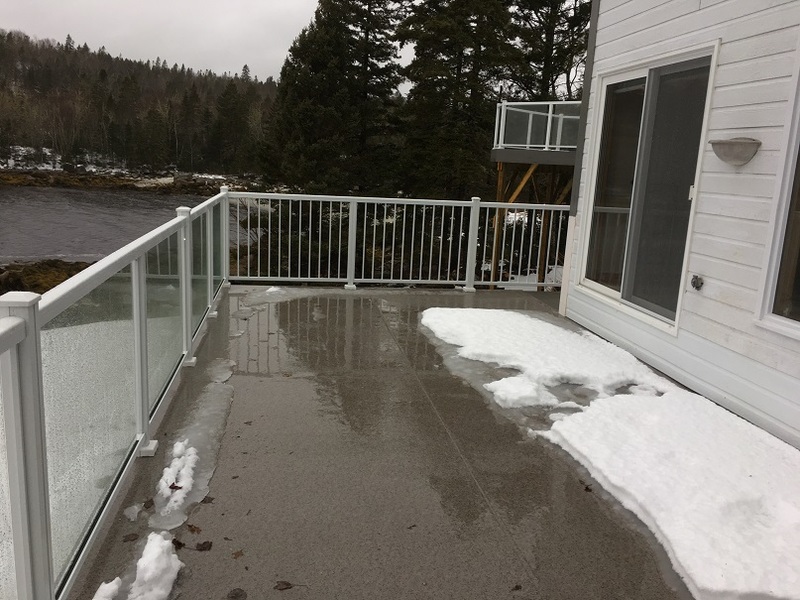 Our client, who lives in Tantallon, Halifax, Nova Scotia wanted to replace some railings that were starting to rot, and have one section of decking with an existing membrane deck to remain. They wanted low maintenance railing, and a low profile railing to enjoy their, Halifax ocean view. 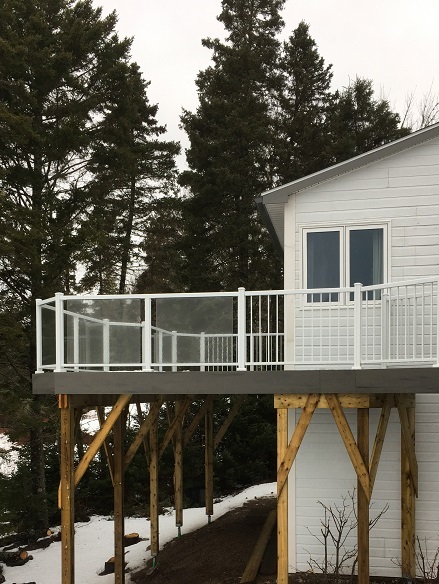 Another part of the project was adding a deck extension to the existing deck, adding new low maintenance aluminum railing, and stairs to the ground. Products used were white Craft-Bilt aluminum railing with both glass panels, and aluminum pickets at the areas where view was not as important. The decking used was TimberTech Terrain Silver Maple, hidden deck fasteners were also used. Coloured decking screws matching the decking and trim colour were used on the deck trim. Halifax deck builder was Archadeck of Nova Scotia. Metal helical deck footings were used as an alternative to poured concrete deck footings. 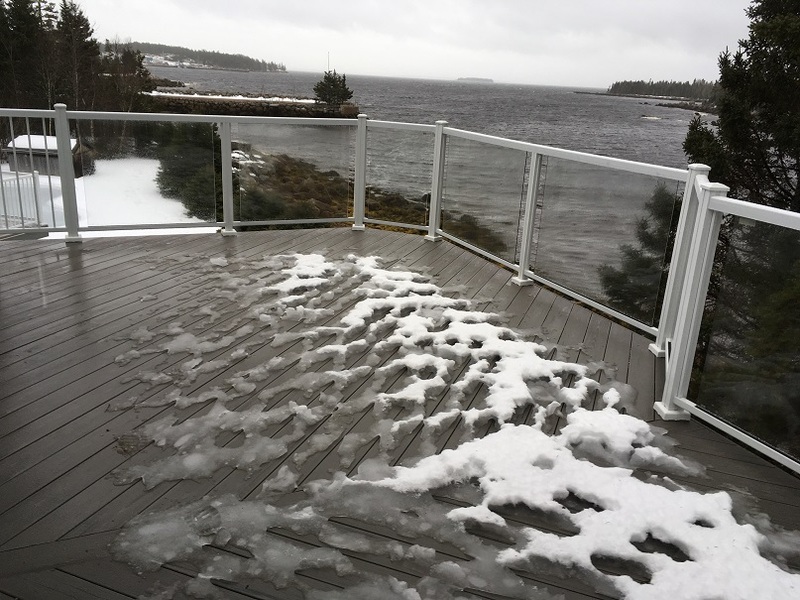 The third piece of the project was to demolish and remove an old pressure-treated wood deck, and replace it with a larger low maintenance composite deck. 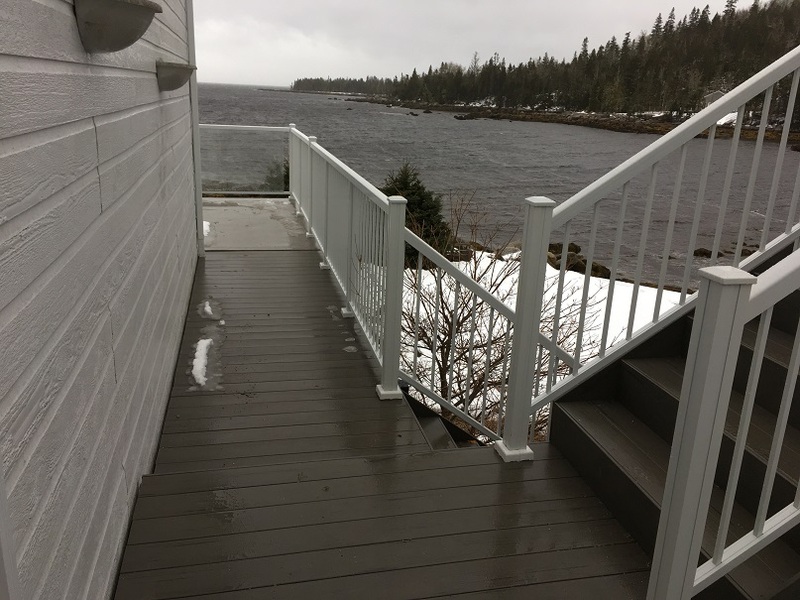 The new deck was added to a guest house at the side of the property, we also included a breezeway, or walkway so that people could walk from the main house deck, to the guesthouse deck without leaving the decking. Low-maintenance materials were used, to minimize work on the property, and also to ensure longevity of the structure given the salt water ocean exposure.